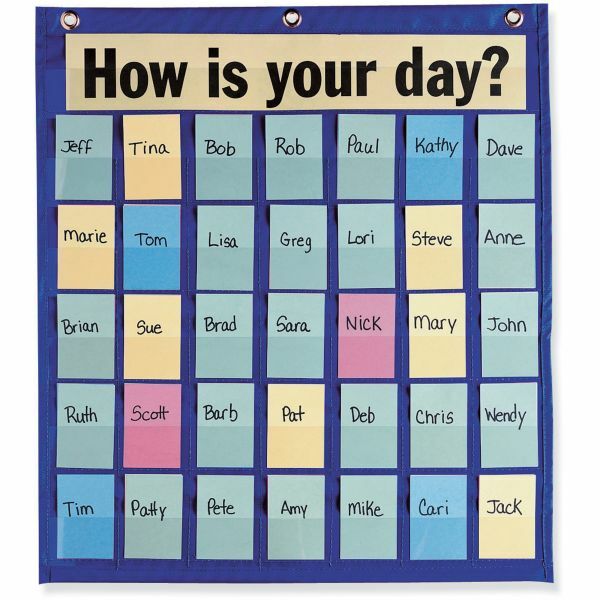 Behavioral Pocket Chart - Behavioral pocket chart features a color-coded system for monitoring students' behavior and teaching expectations for behavior and care of themselves and others. Helpful instruction sheet offers ideas for reinforcing positive behavior. 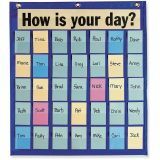 Pocket chart includes a durable pocket chart with 35 pockets, 180 blank name cards and a "How is your day?" banner card.